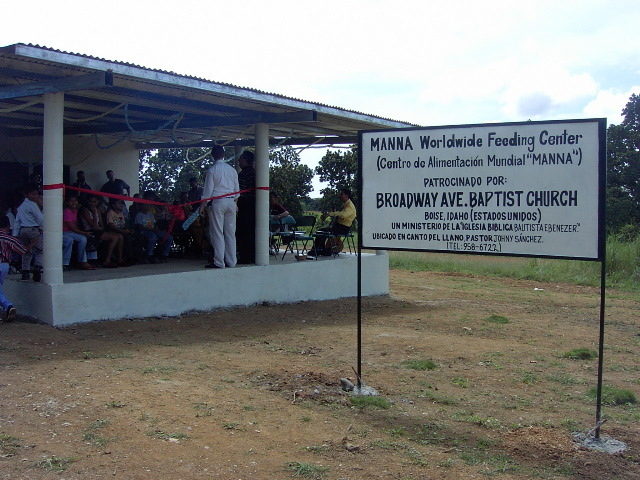 We started our MANNA feeding center in September 2003. 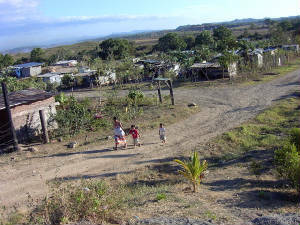 We hope you enjoy these pictures of our center. 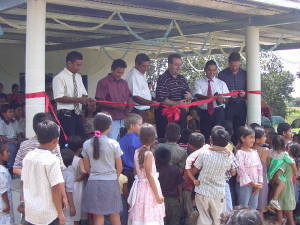 For more information about the MANNA ministries, visit www.mannaworldwide.com. 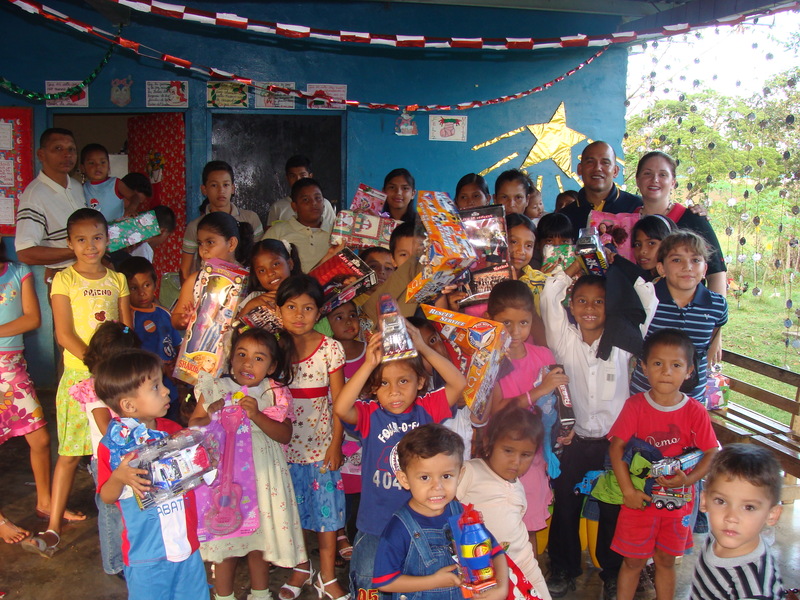 We gave food baskets to each family and a bag of clothes, shoes, toothbrushes to each child. 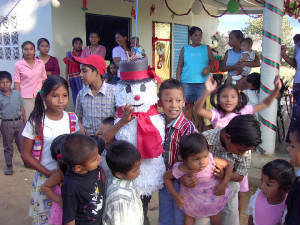 This is the only snowman we can get in this tropical climate! 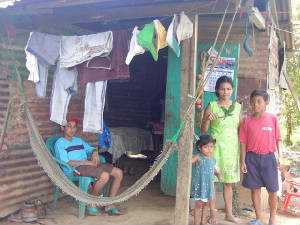 This family's children are enrolled in our feeding center. 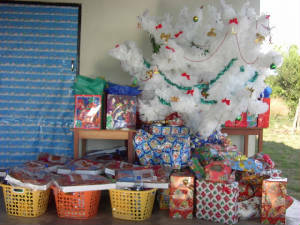 We held church services at the feeding center. . .
. . . and had more than 275 in attendance! 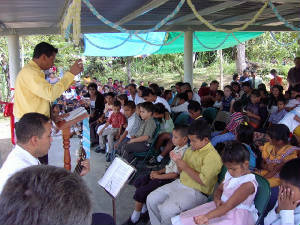 The children hear a Bible story and practice a verse every day. Alicandro was thrilled to catch the hat. He's 6 years old. 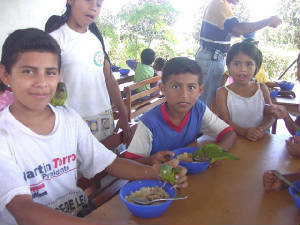 Even the children's pet parakeets eat lunch! 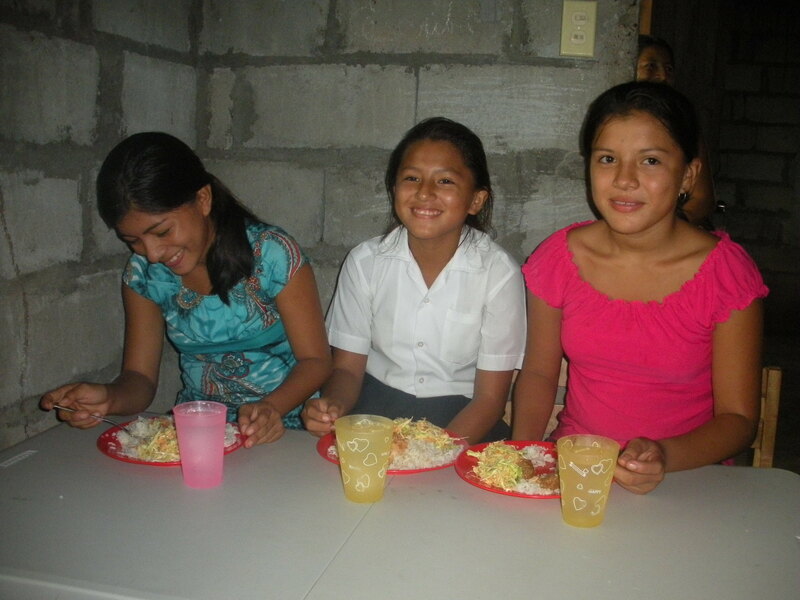 We started another MANNA feeding center in July, and it is in a town an 45 minutes south of Santiago. 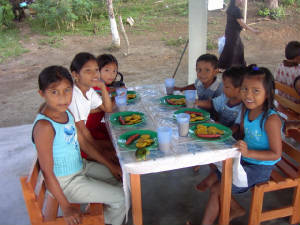 We currently weekly to hold Bible studies and we feed children Monday through Friday. 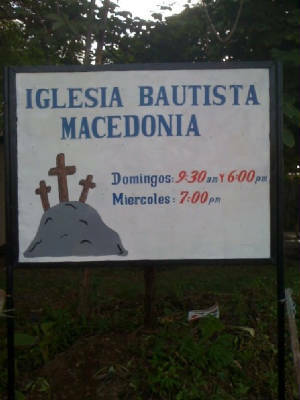 We've seen many people accept Christ as their Savior. 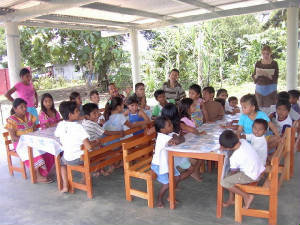 Our new feeding center, in the town of Sona.